Our office space in the heart of Burbank is conveniently located close to the highway, public transportation, eateries and the airport. 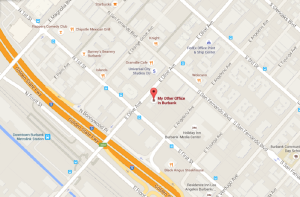 Located in the heart of Burbank, our workspace is walking distance from many great restaurants and shops. Take a break from your work and stroll through the streets of the heart of Burbank. With public transportation options all around, you can easily get to and from your workspace easily. About 4 miles away is the Burbank Airport and less than 0.2 miles away you can find Burbank’s City Hall. We provide easy access for professionals on the go. Our workspace is designed to be flexible and easily accessible to our members. Rather than renting out an expensive office space, we provide professionals a workspace that’s affordable and convenient. Nowadays, professionals are often working on the go and we provide a workspace that complements their lifestyle. We are in the heart of Downtown Burbank, perfect for client meetings. Downtown Burbank is a favorable place to meet clients as it offers great cafes for you and your clients to connect and communicate. My Other Office provides an open environment where you and your clients can hold a casual or formal meeting. We also have meeting spaces which are ideal for conferences and presentations. Being close to restaurants and transportation gives our clients important options. Our office space is located in a lively area of Burbank which is surrounded by many of Burbank’s most recognized buildings and shops. With blocks full of great stores and restaurants, our clients can find whatever they’re looking for. Just a few streets down is also Burbank Town Center, which is a great mall full of many more options for our members and their clients. Our clients love our convenient location. We’ve spent a lot of time figuring out where the best location would be to establish our business and Downtown Burbank seemed like the ideal area for professionals on the go. Surrounded by companies both big and small, Downtown Burbank provides accessibility and great options for our clients.